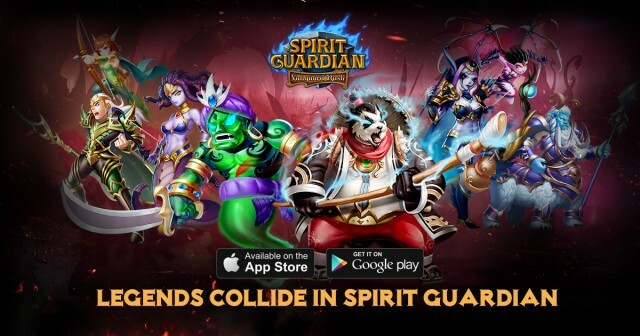 While there are many free hero online RPG’s out on mobile, Spirit Guardian is one that prides itself on having one of the most diverse cast of characters ever seen. Legendary heroes of Western and Eastern origin, pop-culture icons, and high fantasy archetypes have all been gathered to do epic battle in this free to play real-time strategy RPG. Spirit Guardian is a game that brings imagination to life. What would happen if the heroes of the Three Kingdoms met on the battlefield with the demi-gods of Norse Mythology? The idea behind Spirit Guardian brings these fantastical scenarios to reality, for nothing is impossible in Dreamland. Spirit Guardian’s art team had a lot of fun coming up with hero designs and reimagining them for a mobile game. While some heroes remained true to their legends, others were given a vastly different approach in design (King Arthur being a prime example). But the goal is always the same, to create awesome and distinguishable heroes that are simply fun play. The heroes are brought to life in vibrant 3D using the Unity3D engine. Fluid animations and eye-catching skill effects further bring out each hero’s personality and appeal. Speaking of skills, those were also a blast to design. While some were must-haves, such as Thor calling down lightning with Moljnir or the Monkey King crushing enemies with his mystic staff, others allowed for much more creative freedom. What skills would a famous strategist from the Three Kingdoms wield? Play Spirit Guardian today and experience one of the most unique free to play RPG games for mobile!